Heights Farm Premium Pets Foods, a family-run business based in Bolton, Lancashire, is set to expand its empire with the launch of a new franchise operations in Stockport, Altrincham, Warrington, Southport and Aston under Lyne. 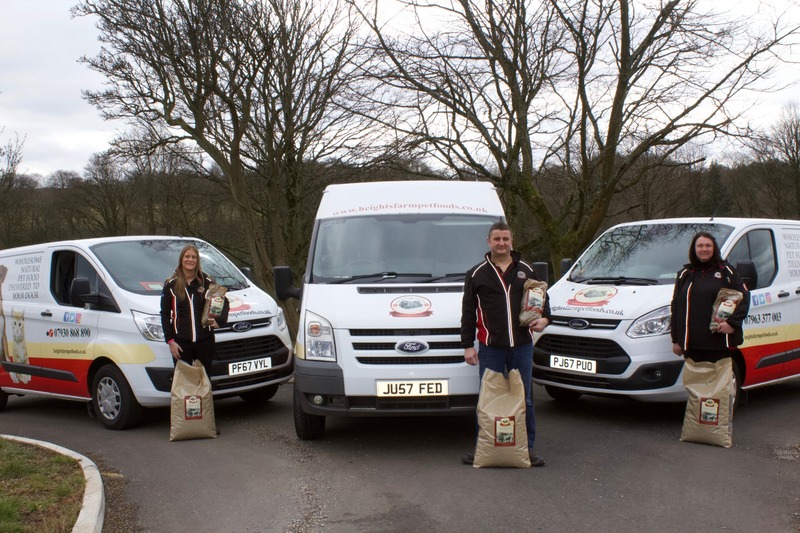 This will allow more customers across the North of England to have Heights Farm's premium quality pet food delivered straight to their doors via a fleet of vans operated by pet-loving entrepreneurs who are in charge of running their own businesses in their own particular localities. This model allows customers to make considerable cost savings on their delivered cat and dog food when compared to many other leading premium pet food brands on the market. Stephen Ward, Founder of Heights Farm says: "We are looking for enthusiastic, sociable and warm-hearted people with the ambition and self-motivation to grow a successful business. There may be people who are fed up with their existing jobs, looking to start-up on their own or are looking for a change of lifestyle. Working with animals has many therapeutic benefits and if applicants are dog owners, there can't be many more jobs where you can take your dog to work with you in your own van." Stephen set up the company in response to his own experience of the pet food industry when his Douge De Bordeaux Mastiff, Milo started to develop a number of allergies which started to make his life very tough. Despite being put on a prescription diet by the vet and taking a course of steroid tablets, the vet bills started to mount, and Milo's itchy skin condition continued once he stopped taking the tablets. Prolonged use of steroids could also have had serious side effects such as liver and kidney damage and it was only after switching to a salmon-based hypoallergenic dry food that many of Milo's symptoms started to clear up. Stephen said: "For the first time Milo was actually happy, his patchy coat had started to heal, and the redness had almost gone. Stool quality was also greatly improved. It turned out that Milo was in fact wheat and wheat gluten intolerant. "This experience got us thinking how many more pets and pet owners had been in the same situation as ourselves!? So, after lots and lots of research and investment we decided to come up with the most amazing hypoallergenic blend of complete dry food that would in effect be a health food for dogs and cats with a very special and clinically proven ingredient-Green-Lipped Mussel. The extruded kibble is exposed to a steam process that gives a honeycomb texture inside, aiding digestion. The complementary natural ingredients such as Kale, Carrots & Peas, Yucca, Rosemary, Seaweed etc. also complete this natural dry food." The Heights Farm Range now includes life stage recipes, grain and gluten free recipes and recipes that cater for joint health together with a range of tasty treats. Stephen concludes: "We have invested a considerable amount into our franchise operation, particularly in our bespoke IT system "Datadog" which makes building your business a breeze and allows full business support from our Bolton HQ. We see this as a fantastic opportunity for people who love animals and being outdoors to create a cash positive business with full head office support. There's no need for any previous business experience as we have all the tools to quickly help you establish your region." The franchise term is 5 years with the option to renew or then market your established Heights Farm business investment. Cost of Franchise is £9,999.00 + VAT.